ACC action is now in full swing, and we just capped off the first full week of exciting games. We’ll be examining Duke’s victory over Clemson later today, but for now let’s look into the best games in the past week of ACC action. The Hokies dropped their second straight conference game with a 63-59 loss at home against Florida State. Bernard James led the way for the Seminoles with 18 points and 15 rebounds while Ian Miller added 15 points of his own off the bench. Erick Green carried the load for Virginia Tech, scoring a game-high 21 points but shooting just 5-of-14 from the floor. The Hokies were able to rally from a nine-point halftime deficit, but were ultimately doomed by their poor shooting. Virginia Tech shot just 30.5% from the field on the game. With the score at 61-59 with 17.8 seconds to play, the Hokies had a chance to tie the game, but Green was unable to convert. Two Florida State free throws sealed the victory, rebounding from a crushing 79-59 loss on the road to Clemson to open their ACC schedule. The Terrapins jumped out to an early lead, going into the half up 40-24, but Wake Forest was able to make a game of it in the second half. Guard Terrell Stoglin, who is the ACC’s leading scorer, came off the bench for just the second time this year and led Maryland with 20 points. However, these points came at a cost, as he shot just 6-of-18 from the field on the night. Travis McKie led the way for the Demon Deacons, tying a career-high 25 points. Wake Forest was able to pull within six at 60-54 with 5:35 remaining in the game, but could not get the deficit to any less than four in the game’s final moments as the Terps escaped with a win. Despite a slow start and a late Virginia surge, Duke utilized a balanced scoring effort to knock of the 16th-ranked Cavaliers by a score of 61-58. Mason Plumlee was the Blue Devils’ top scorer with just 12 points, as Duke had four players in double figures on the game. After falling behind early, Duke was able to rally back and take a four-point lead into the half. Virginia controlled the pace throughout the game, employing its typical slow and steady half-court sets. The Blue Devils came out firing in the second half, expanding their lead to 53-42 with just under 10 minutes to play. 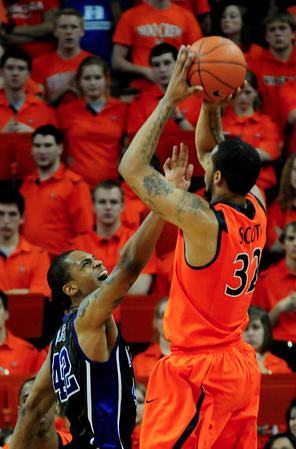 Virginia hung around, as Mike Scott led all scorers with 23 points and added nine rebounds. 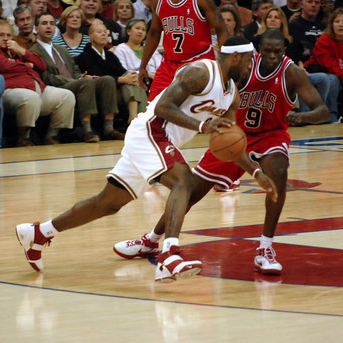 Scott was significantly less effective in the second half than he was in the game’s opening minutes, scoring just seven points after halftime. 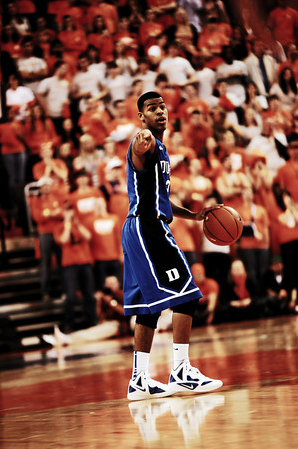 Duke shot 52.2% from the floor on the game against the toughest defense in the ACC. Meanwhile they held Virginia to just 39.3% shooting from the field. Although Duke led throughout the second half, the Cavaliers were able to pull within three in the game’s waning moments and actually had multiple chances to tie the game, but could not convert on their long-range shots. The loss snapped Virginia’s previous 12-game winning streak. Many thought that Boston College wouldn’t win a game in ACC play this season. They proved the critics wrong in just their second ACC contest, winning a hard-fought home game 59-57 over Clemson. The Eagles were able to pull off the upset despite turning the ball over 15 times and getting out-rebounded by the Tigers 32-21 for the game. Dennis Clifford scored a game-high 15 points for Boston College. Guard Lonnie Jackson added 14 points of his own for the Eagles while Andre Young led Clemson with 12. The game was tight throughout, with both sides jockeying for position through the second half. Clifford broke the 56-56 tie when he nailed a jumper with 42 seconds remaining. Milton Jennings had a chance to tie the game from the free throw line for Clemson with just 8.7 seconds remaining, but he missed one of his two free throws and the Tigers did not earn another chance. We wrote a little bit on this game here immediately following its conclusion, but it was so nice we just had to write it twice. Florida State absolutely manhandled North Carolina in Tallahassee en route to a 90-57 win. The Seminoles had the upper hand from the opening tip as the Tar Heels shot just 37.3% for the game. Deividas Dulkys, who was averaging just 6.2 points per game for Florida State, ripped off a career-high 32 on 12-of-14 from the field, including 8-for-10 from beyond the arc. With the Seminoles holding a 30-point lead for most of the second half, this game was no contest to say the least. Did I mention that Boston College wasn’t supposed to win an ACC game this year? Well they didn’t win just one last week, they won two. The Eagles pulled off the second-biggest upset of the week in the conference, going on the road to Blacksburg, one of the toughest places to play in the ACC, and knocking off the Hokies by a score of 61-59. Virginia Tech dropped to 0-3 on the year in the ACC with the loss, and it looks as though their NCAA tournament chances are already beginning to fade. Dennis Clifford scored a game-high 15 points for the Eagles while Virginia Tech was without its leading scorer, Erick Green. Forward Victor Davila picked up some of the slack, leading the Hokies with 14 points. The game close throughout, but Boston College was able to open up a 57-47 lead with just 3:40 to play. Virginia Tech was never really able to cut back into the lead, drawing to within two on Jarell Eddie’s 3-pointer at the buzzer. With the Eagles second-straight conference victory they improved to 7-10 on the season. Happy FDOC, Crazies! Welcome to our first ever mailbag, where we asked you to tweet us some of your most burning Duke basketball questions. Special thanks to all who submitted their queries – we couldn’t have done this without you. Amile Jefferson is a big combo forward from Philly who has stayed steady in the top 25 of most recruiting databases. Scout.com currently lists him as the fourth best power forward in the class of 2012; his measurements stand at 6’9” and 200 lbs. In order to be a highly effective forward in the NCAA, Amile will likely have to add some weight, but that’s not an uncommon goal for players of his height in high school. Not everyone can look like Jared Sullinger right away. As far as Duke’s involvement with Amile, don’t expect us to land this particular five star prospect. Just last week, Philly.com reported that his final five schools, in no particular order of preference, are Villanova, Temple, Kentucky, Ohio State, and NC State. This would be a coup for the Wolfpack, who have recruited him hard but haven’t had too much success luring talent from the Northeast since Julius Hodge. Things aren’t very clear with Tony Parker. According to Scout, he has offers from Duke, Ohio State, Kansas, Memphis and UCLA. Kentucky is entering the contest as well, and Georgetown is coming on strong. I worry about Duke’s chances with Parker. He could develop into a Shelden Williams-type role of bruising rebounder and low block presence–something we haven’t had since, well, Shelden Williams. But our lack of success recruiting this type of player does not bode well considering the competition. Ohio State can pitch their bevy of big men successes, as can Georgetown somewhat. And you can never count out the Kentucky/LeBron/Drake nexus. Though the shots were not as impressive as the sequel, Kyle Gets Buckets was the seed that sprung the beautiful flower that was Kyle Gets Buckets 2.0. You wouldn’t have any of the magic that was Kyle Gets Buckets 2.0 without the original, so we need to take a moment and pay homage to the idea that started it all. Not only does this video show the top plays from one of the most memorable (and cathartic) games in recent Duke history, but it has extra bonus footage of Duke players speaking after the game in their Senior Night celebration. The 82-50 victory is one of the defining moments of Duke’s 2010 national championship season, and it was great to see seniors like Jon Scheyer, Lance Thomas, and Brian Zoubek speak after such a thrilling win. If a movie critic were to review this video, they might call it the feel-good story of the year. At least I can’t think of anything that brings me a warm and fuzzy feeling more than a 32 point win over North Carolina on Senior Night. The premise of this video is quite simple: you take an ordinary video camera, you hand it to one of the most entertaining figures in the history of Duke basketball, and legends are made. With a trip to Cameron, a glimpse at the freshman version of Ryan Kelly, and a Target run with Nolan and Todd Zafirovski, every second of this video is absolutely priceless. 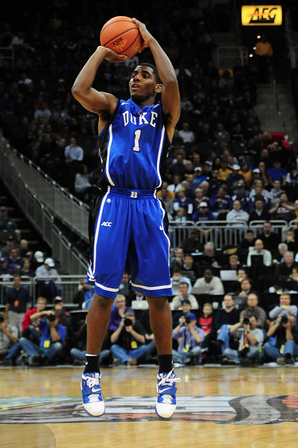 Not to mention everyone loves watching Nolan Smith rock out in his car to Ain’t No Mountain High Enough. With just 831,000 views, Kyle Got Buckets 2.0 went viral in just a matter of days and is the has the second most views of any DukeBluePlanet video in history. 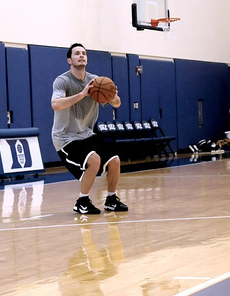 Kyle Got Buckets 2.0 captures the ability of former Duke star Kyle Singler to do what he does best- get buckets. Whether he’s hanging around Kville, jumping off the high dive (which I personally believe is the most underrated shot in the video), or nailing the famous Chapel shot, Kyle gets buckets wherever he goes. Fun fact about the Chapel shot, it took him a grand total of five attempts to make two shots from the top of the 210-foot tall steeple. I’ll give you all a moment to handle your amazement. Nothing can get better than this. It’s a fact. I enjoy watching CBS’s One Shining Moment video every year after the national championship game, but to see the entire video dedicated to Duke’s championship run is beyond incredible. 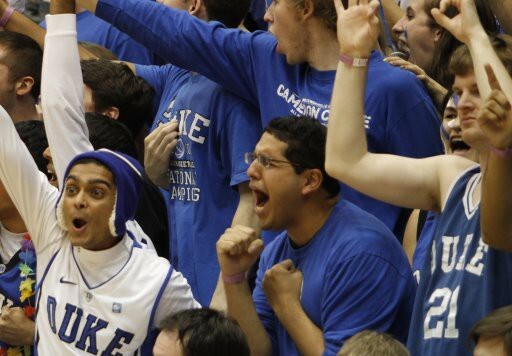 The video captures the greatest moments of Duke’s run to the Final Four, some of which get lost in translation when looking at the 2010 season, with a prime example being the Blue Devils’ huge victory over Baylor in the Elite 8. Unfortunately there’s not too much I can do to put this video into words, but the feeling that it instills in a Duke fan viewing it is simply indescribable.